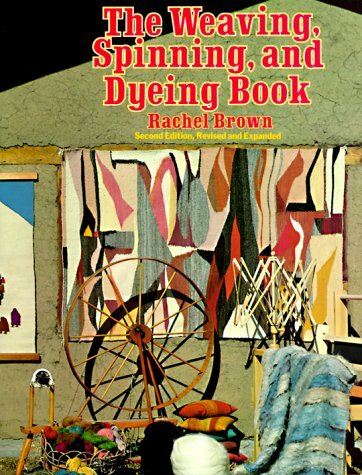 The most complete and specific how-to-do-it book ever published on weaving, spinning, and dyeing, completely updated. This book explains everything the intermediate, expert or absolute beginner needs to know, and it provides as well complete instructions fo rmore than 50 weaving projects. A master plan for designing, planning, executing, and finishing a weaving project. It enables absolute beginners to create their own beautiful work and provides countless tips and unorthodox techniques for experienced weavers. Everything about spinning, from picking a good fleece and cleaning the wool to teasing, flicking, types of hand spindles; all about different wheels (the high wheel, the flyer wheel, homemade wheels), choosing spinning equipment, yarn design and function. All about design and color: uniformity vs. variation, repetition, scale and interest, backgrounds, balance, proportion, properties of color, understanding hue, intensity, and value. More than 50 weaving projects (with complete instructions), ranging from the simple to the complex, including belts, sahses, stoles, ponchos, handbags, wall hangings, pillow covers, tapestries, rugs, throws, blankets, a bedspread, a room divider, 3-dimensional weaving, etc. Plus all about pricing your work and selling it (to private buyers, at fairs in shops or galleries), entering exhibitions, running your own retail or wholesale business. 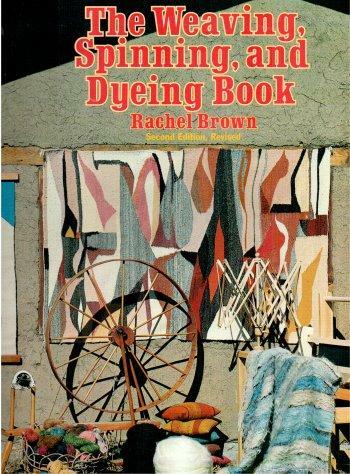 The Weaving, Spinning and Dyeing Book is thoroughlyy practical and authoritative a book that both instructs and inspires, a classic in its field. Auf Urlaubsreise in fremde Bücherregale.